Grow, Make, or Raise Organic Food | CCOF - Organic certification, education and outreach, advocacy and leadership since 1973. Organic Certification for farmers, processors and handlers, and livestock operations. The only way to become truly recognized for your dedication to producing and manufacturing organically is to become certified organic. Organic certification enhances the value of a product and makes it more marketable to the health and environmentally conscious consumer. The presence of the USDA organic and/or CCOF seal on a product guarantees to the consumer that the food they are purchasing has been grown and produced according to federal organic standards. To be certified, organic land must be free of prohibited fertilizers, pesticides, and herbicides for at least three years. Greenhouse operations which do not grow in the ground can be certified without this transition period. Production practices on organic farms must maintain or improve the natural resources of the operation, including soil and water quality. “Natural resources” are the physical, hydrological, and biological features of your operation. This applies to all operations engaged in crop and animal production including greenhouses, poultry production, and other non-field organic production systems. Handler certification is for products and operations that produce or handle organic products. Certification for processed or packaged products requires that both the ingredients in the products and the facility within which they are processed, packaged, and/or labeled be certified. Facilities must ensure that their practices include no commingling or cross-contamination with any conventional products or prohibited materials. What Is the Difference Between a Processor and a Handler? Not all handlers are processors, but all processors are handlers. Confused? Don’t be. Some operations don’t actually process, package, or label products. Examples include private label owners who have products manufactured by others, retail stores, and companies that broker or trade organic products. These operations can also be certified as handlers. Certification for livestock includes the land which animals have access to or graze on, the management practices for the animals, and the animals themselves. All grazing land and other accessible land where animals will be located must be free of prohibited fertilizers, pesticides, or herbicides for at least three years. Cows, sheep, pigs, and other mammals must have been managed organically from the last third of gestation. Poultry must be managed organically from the second day of life. 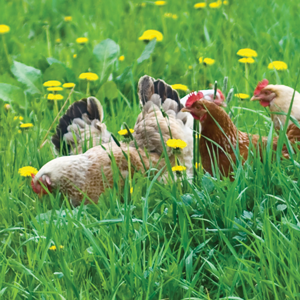 Animals can only be fed certified organic feed, and, yes, this includes certified pasture too. Antibiotics are prohibited and only approved medicines can be used. May Certified Livestock Commingle with Uncertified Livestock? Of course they can! Certified and uncertified animals can be managed together but all must be fed only organic feed while together. 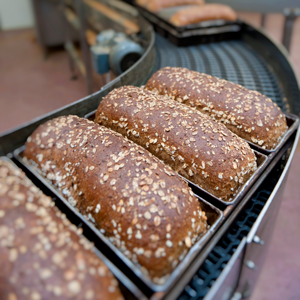 Ready to Identify Your Products as Organic? 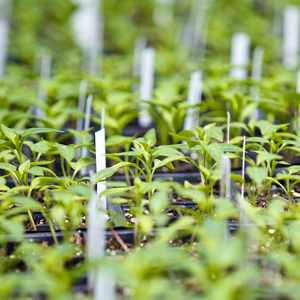 Get the specifics on how to get organic certification, and read more about why CCOF is the premier choice for organic certification. Have questions? We’re here to help. Check out Certification Help or drop us a line.